For more than 40 years, All New Gutter Service has been helping local homeowners in the Dakotas and Minnesota relax and enjoy the comfort of their homes without having to worry about maintaining their gutters. We make gutter replacement simple by offering only the highest-quality products, custom crafting them on-site and backing them with our exclusive limited lifetime warranty. Too often, we see homeowners dragging out their ladder, climbing up to their roof and scraping dirt and debris from sagging aluminum gutters. We have a better solution here at All New Gutter Service! We offer top-quality, virtually maintenance-free gutter systems that will eliminate that hassle from your life! By installing durable seamless gutters, attractive, maintenance-free soffit, fascia and highly functioning gutter protection, we’ll give you peace of mind knowing that your gutters look good and function properly without requiring your constant attention. 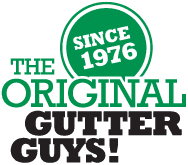 You can count on the experience of the “Original Gutter Guys” to make your life easier! There are no compromises or shortcuts when it comes to quality gutter systems. Cutting corners or saving dollars in the design and construction of gutters could lead to a poorly functioning system that damages your property. That’s why All New Gutter only utilizes the highest-quality materials, installed by the highest-quality people. Each of our gutter technicians has undergone countless hours of factory training and is fully certified to install each product we offer. To make sure we have full control over work quality and scheduling, we do not use subcontractors. All of our installers are employees of All New Gutter Service with full worker’s compensation protection. 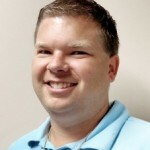 We are also licensed, insured and bonded in North Dakota, South Dakota and Minnesota. 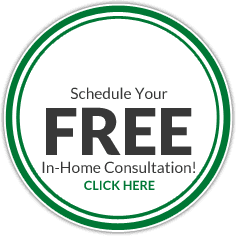 Call All New Gutter Service today at 701-280-9261 or fill out our convenient online contact form to schedule a free, no-obligation consultation with the leading experts on the design, construction, and installation of top-quality gutter systems.